About all you can see these days is Subaru's taillights. The 2014 Subaru Forester is experiencing blistering sales in the U.S. and it’s forcing Subaru to make some big changes. Subaru has some big challenges ahead and it will require them to increase production by stopping Camry production at their Indiana plant. It’s a good problem to have for the Japanese automaker. According to a report from Reuters, Fuji Heavy Industries Ltd (FHI) who owns Subaru, plans to double the production capacity of Subaru cars in the U.S. to cater to growing demand for the new Forester in the North American market. FHI produces 270,000 cars a year at their plant in Indiana. The plant makes 170,000 Subaru Forester SUVs and contract manufactures 100,000 Camry mid-size sedans annually for Toyota Motor Corp according to Reuters. Sales in the U.S., where the Japanese automaker sells half its cars globally, are up 27 percent from January to July 2013. The Japanese automaker has to make some decisions in order to keep up with demand here in the U.S.
Toyota who owns 16.5 percent of Subaru parent company FHI, contracted with them to produce Toyota Camry’s at the Indiana plant, but that may be coming to an end. The report says Fuji Heavy will soon begin talks with Toyota to end contract manufacturing of the Camry and will produce only Subaru vehicles at the Indiana plant so they can meet demand for the new Forester. Subaru will be investing $407.5 million to increase the plant's annual capacity to 370,000 cars by 2016, the newspaper reported. Subaru expects to sell 400,000 cars globally by the end of 2013. The U.S. along with strong sales in Canada is forcing Subaru to make room for more cars to be produced here in the U.S.
Also watch for Subaru to move more mainstream with the new Legacy sedan which is being purchased by a new generation of buyers who have never owned a Subaru before. This will compete directly with the popular Toyota Camry and Honda Accord. Look for 2014 Subaru Forester and the overall Subaru sales to continue to climb as FHI pores more resources into its successful Japanese automaker and expands its lineup into new areas and grows even bigger in the future. Stay tuned here for the latest Subaru news. 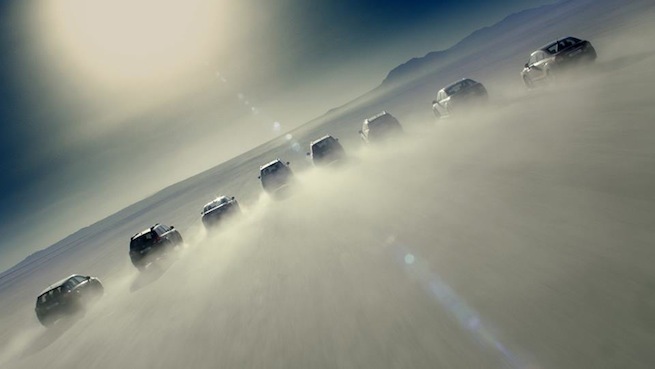 Watch SUBARU "The Magnificent Eight" video. Would like to see information on Ram's Ecodiesel release date, and when can they be ordered? I would also like to know what city this is in the Nissan Rouge commercial. Anyone know?